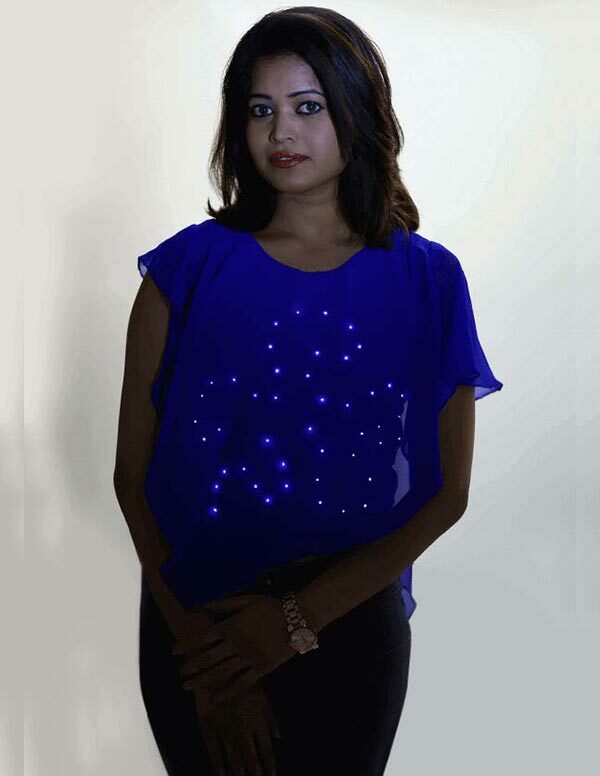 Now your dress can light up. You don't need a black dress to be the center of attraction. Get this layered dress with lights for your next party. © 2018 Broadcast Wearables Pvt Ltd. All Rights Reserved.